I hope you all enjoyed the Easter weekend. 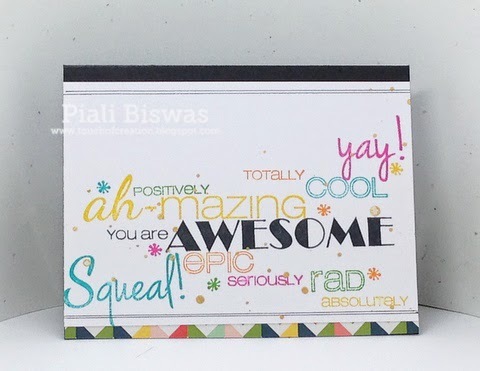 Today I have 2 wonderful cards from Girl Friday Piali. 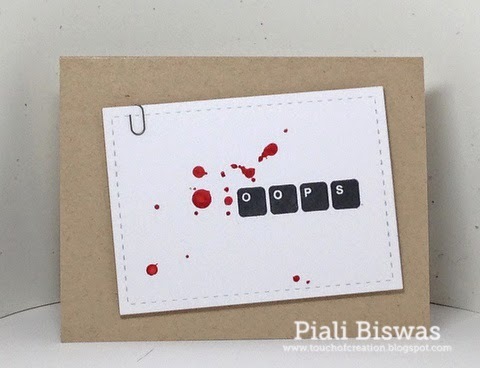 Oh my goodness, how perfect would this be for a sorry card?? Love the big bold ink splatters! I love the bold happy colors and the fabulous stacking of sentiments. A very cool card indeed!! Gorgeous cards! Absolutely love the second one! Seriously AWESOME! Love them both! Pretty and so yummy!gorgeous inky fun too in this blog.